Baseline: Pre SOP, Box Breathing, ROM drills, Row 1000 Meters at moderate pace. 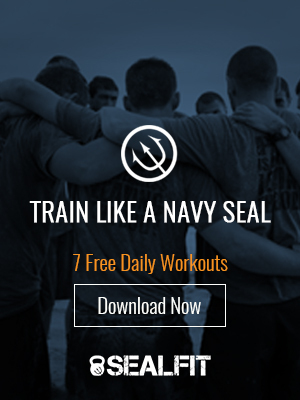 Stamina: SEALFIT PST: Max Dead Hang Pull-ups, Max push-ups in 2 Min, Max sit-ups in 2 minutes, Max air squat in 2 minutes. Run 1 mile AFAP. Record and report scores. Durability: 10x 200M sprints (15 second interval). 100 Arm Haulers, 100x 4 Count Flutter Kicks. Stretch, Hydrate, Fuel.